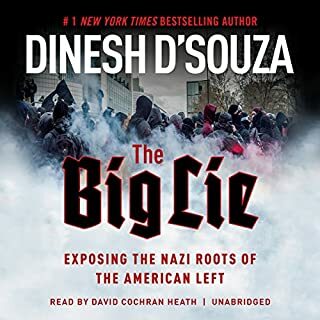 Dinesh D'Souza, the most original and controversial writer on politics and society in the U.S. today, uncovers the links between the spread of American pop culture, leftist ideas, and secular values and the rise of anti-Americanism throughout the world. 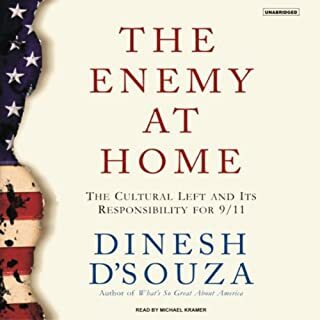 In The Enemy at Home, D'Souza makes the startling claim that 9/11 and other terrorist acts can be directly traced to the ideas and attitudes perpetrated by America's cultural left. 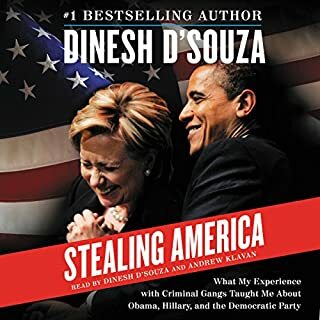 Dinesh D'Souza, author of the #1 New York Times bestseller America, is back with this darkly entertaining deconstruction of Hillary Clinton's flawed character and ideology. From her Alinskyite past to her hopes for America's progressive future, the presumptive Democratic nominee is revealed to be little more than a political gangster intent on controlling the nation's wealth. Bad Things Happen. Is there a God Who Cares? Yes. Here's proof. For a lot of people, the biggest question about God isn't, surprisingly enough, whether he exists. Instead, it's about whether God is truly good. 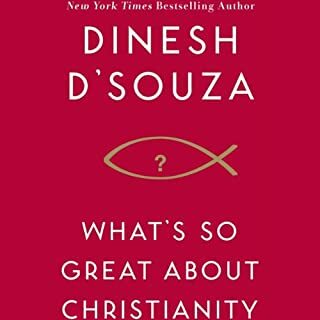 Dinesh D'Souza, in his debates with leading atheists, quickly realized that many of his debates would revolve around the question of evil in this world and how God could create a world that allowed such suffering and evil. In Godforsaken, Dinesh D'Souza takes these questions head-on. Does God act like a tyrant? Is God really responsible for the evil in this world? Why is there suffering in the world? In his controversial New York Times best seller, The Roots of Obama’s Rage, Dinesh D’Souza answered the question on everyone’s mind: why is President Obama hell-bent on seeing America fail? The reason, D’Souza explained, is Obama’s fervent anticolonial ideology. Here, in his blockbuster follow-up, Obama’s America, D’Souza shows how President Obama is applying his anticolonial ideology to unmake America and turn it into a country our founders would hardly recognize. I never knew a "political" book could be so great! D’Souza explains that the reason Obama appears to be working to destroy America from within is found, as Obama himself admits, in The Dreams of My Father: a deeply hostile anticolonialism. Instilled in him by his father, this worldview has led President Obama to resent America and everything we stand for. D’Souza masterfully shows how Obama is working to weaken and punish America here and abroad. If you want to understand Obama. This is a summary of Ben Shapiro's How to Debate Leftists and Destroy Them. Primetime Propaganda is the story of how television has been used over the past 60 years by Hollywood writers, producers, actors, and executives to promote their liberal ideals, to push the envelope on social and political issues, and to shape America in their own leftist image. America is under attack as never before - not only from terrorists, but from people who provide a rationale for terrorism. 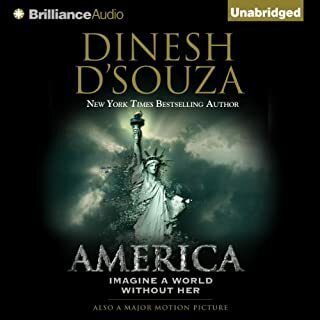 Best-selling author Dinesh D'Souza takes on all of America's critics and proves them wrong - as perhaps only a writer with an immigrant's understanding of this country can. 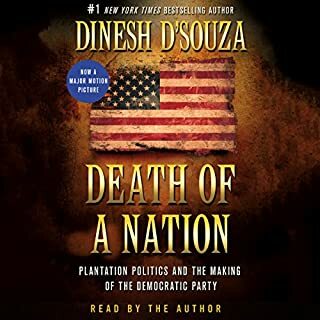 D'Souza presents his case for intelligent patriotism based on an understanding of what really makes America unique in the world. Among other issues, he confronts the hallmarks of criticism of the American way - our history of slavery, colonialism, and materialism. His thought-provoking essay is simply presented. He defends not an idealized America, but America as it really is, and measures America not against utopia, but against the rest of the world. This book was outstanding! It should be required reading at the high school level. Mr. D'Souza has a wonderful ability to break down into concise, yet thourough chapters, the critical aspects of current American life; each of which have been discussed, debated and written about at great length. He provides historical & current political, social and moral perspectives and then leads to thoughtful, well supported, and logical conclusions. If you are entertained by thoughtful insight with relevance to our lives today, you will love this book. I could not stop listening once I started. I will be seeking out his other works. I rarely write reviews, but this book is so worthy of your time, I feel compelled to endorse it. I have no idea who the author votes for politically, which speaks volumes for his ability to keep his biases at bay. Very well thought out and reasoned arguments for appreciating and falling in love with your country again. I was astounded by the fairness and unique perspective of a minority whom does not have a political or social hidden "adjenda", actually feels about the current state of america this june 2005. This book is modern and maybe timeless regarding the post 9/11 era. I will now be more aware and proud of what it means to be an american and why our nation is so wonderful in every cherished freedom we have earned and fought with blood for. Highly recommended to liberals or those who question if we are helping others in the world who are much less fortunate and seemingly get hurt by our capitalism and strength of policy or sphere of influence. Conservatives will like it just as well and relate to minorities more easily when trying to explain why we are the greatest nation in the world, not superior but different to other cultures. I have read and listened to a lot of material on current events. This writer has a fresh, incisive and objective view. I learned a lot and am looking forward to his other books. This is a straight forward and well thought out treatise on the reasons America is so great and also why somen people profess to "hate" America. Well worth multiple listenings!! 10 stars! The authors insight, logic, and reasoning is clear and sharp as a diamond and just as valuable. This book crystalizes the essence of what is so great about America and cuts through widely popular fallacies with cold, hard reason. Bravo to Mr. D'Souza for crafting a highly engaging treasure. I was truly captivated. 6 stars!!! Dinesh has such a deep love for America. He, as an immigrant, has a better understanding of what it means to be an American than any progressives. I would highly recommend this audio book. Mr. D'Souza provides an excellent overview of world history and how/why it affects how other countries view the USA today. His look at the world opinions of the US were fascinating and credible as he is an immigrant himself. I appreciated his un-biased look at our faults and our triumphs. I came away with a greater appreciation for my country and a better understanding of other cultures. I loved Mr. D'Souza's narration - his voice is clear, understandable, and pleasant. What about Dinesh D'Souza’s performance did you like? Pleasant, clear vocal quality with just a pleasing hint of accent. 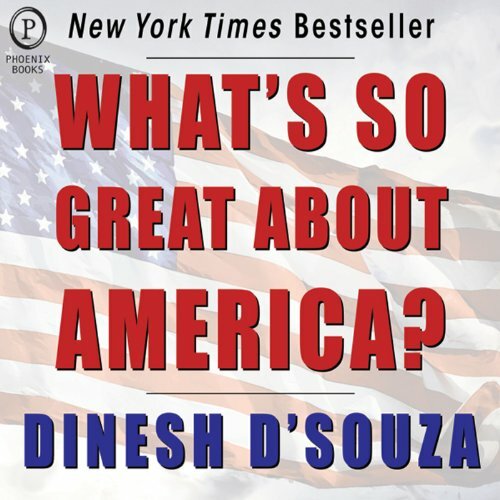 Would you consider the audio edition of What's So Great About America to be better than the print version? What was one of the most memorable moments of What's So Great About America?